From 12th November to 13th November, HIH Princess Akiko of Mikasanomiya visited Minamisanriku town, Miyagi prefecture; affected area of Great Tohoku Earthquake occurred on 11th March 2011. 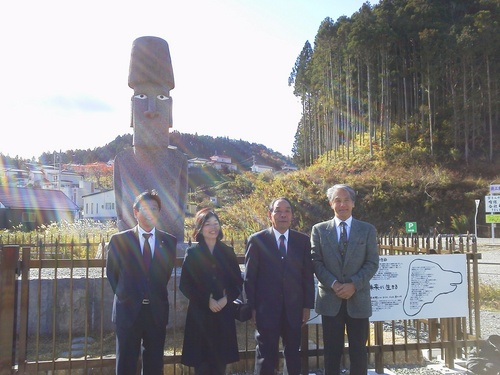 On 13th Noember, HIH Princess Akiko inspected the Moai Statue that was presented by Easter Island of Republic of Chile in May. 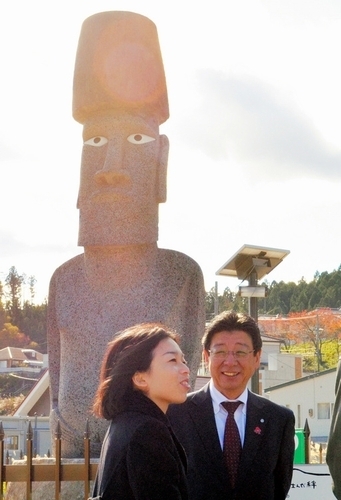 HIH Princess Akiko visited Easter Island in September.